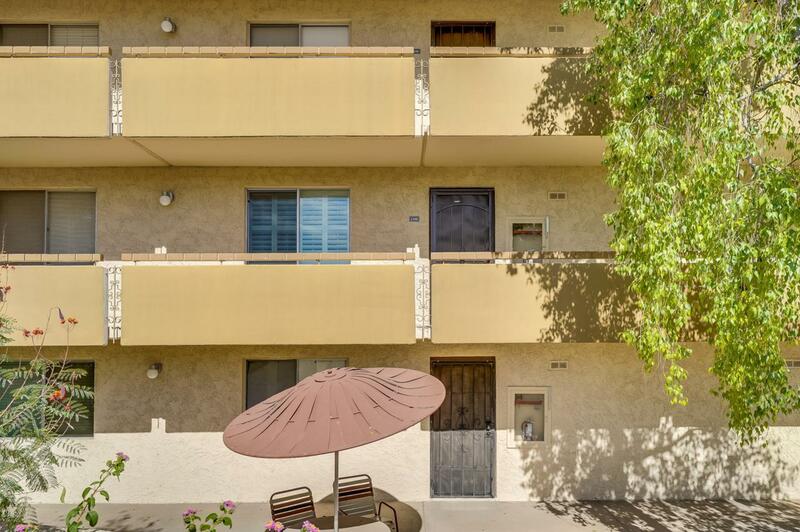 Perfect newly remodeled 2nd floor unit at Maya Condominiums! 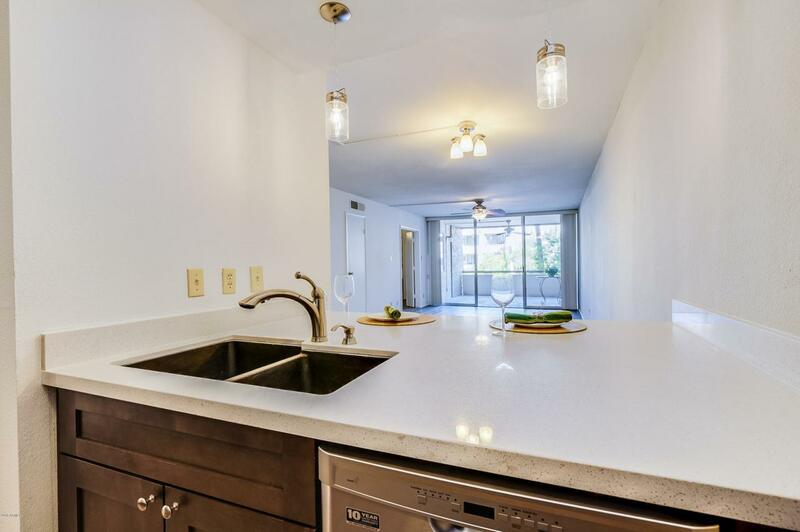 This 2 bedroom 2 bath unit has a brand new kitchen with soft close cabinets, new stainless steel appliances, quartz counters, and new pendant lighting. The master has plantation shutters, remodeled full bath and large walk in closet. The second bedroom also offers a remodeled 3/4 en suite! Step out to the large covered balcony with the view to the pool, no busy streets to bother you! HOA fee covers, ALL UTILITIES - A/C, heat, electric, basic cable, water, sewer, trash, heated spa and pool, fitness room, pool table and more fantastic deal! 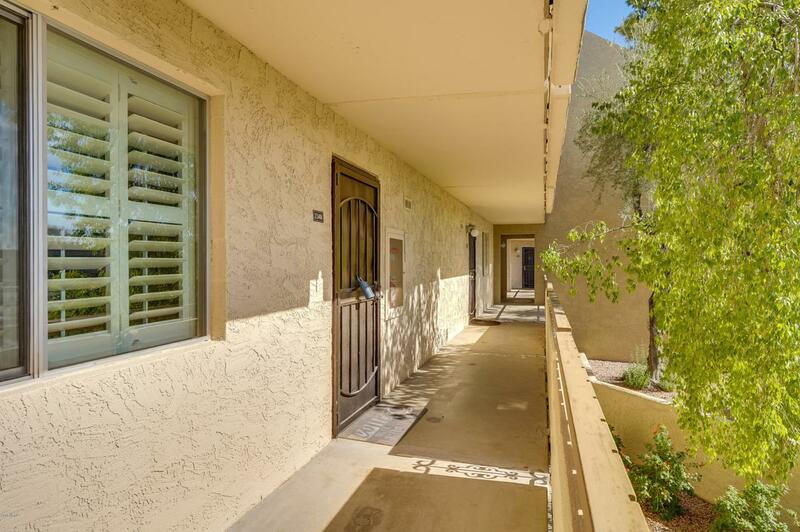 This location is close to everything in South Scottsdale! Spring training, fashion square, Sprouts, all the restaurants and nightlife.The laundry rooms are available on the second and third floors of the building. For this unit, go out the front door and turn right down the hall. Then turn left to see the laundry room. It's near the elevator. You can use the key fob provided in the lock box to view the laundry room. 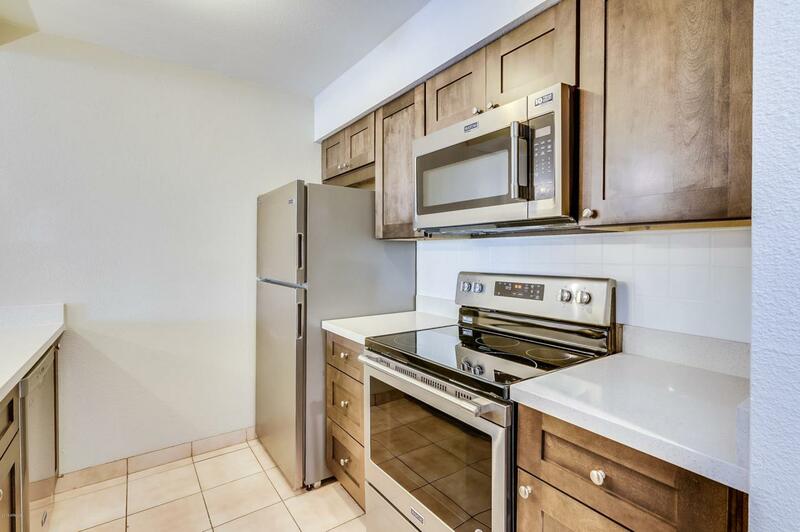 The seller believes that owners are allowed to install a stackable washer/dryer in the unit, and that some owners have located this in the pantry in the kitchen. Please confirm this with the homeowner's association.